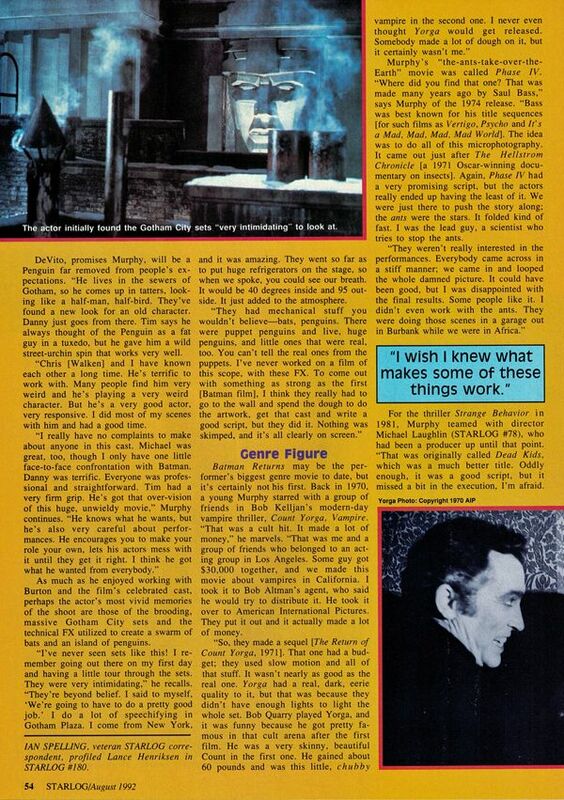 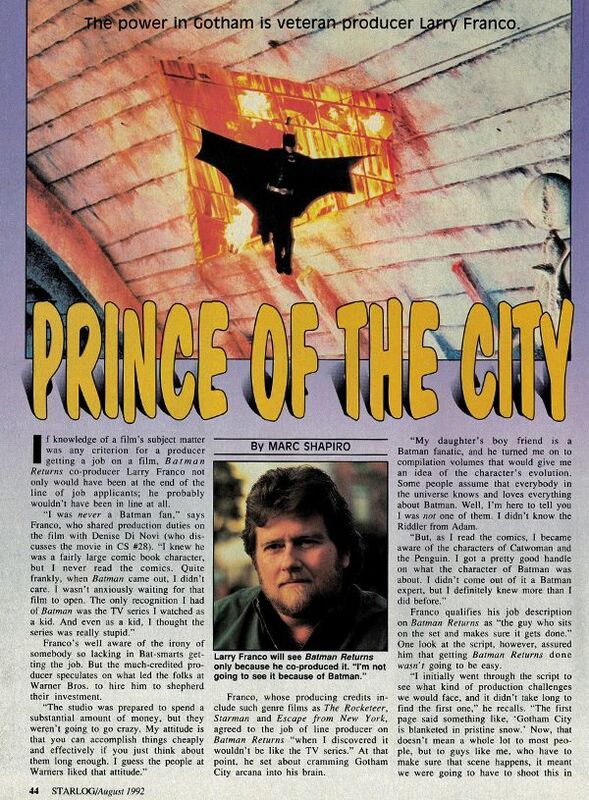 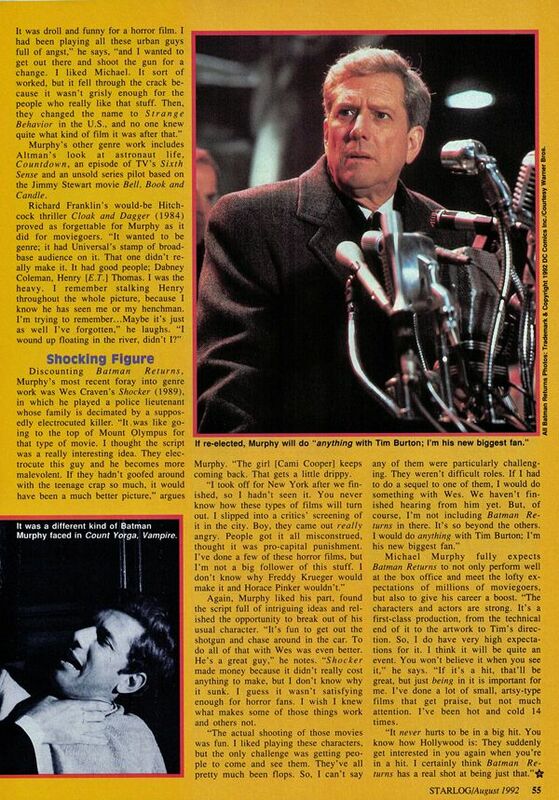 The August '92 issue of Starlog magazine features interviews with 2 members of the Batman Returns crew that didn't get spotlighted all that often. 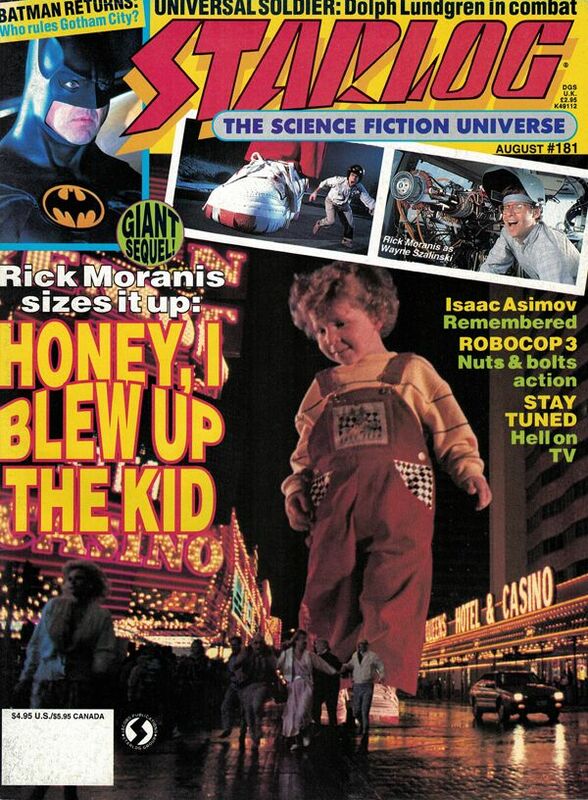 First up- An article with producer and not-a-Batman-fan Larry Franco. 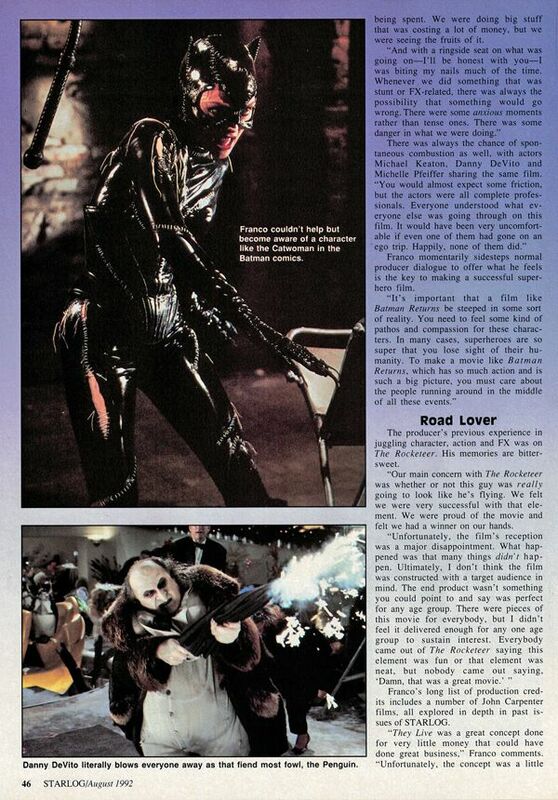 Oh... and just for reference if you happen to be reading this Larry: I actually did leave the theater after The Rocketeer saying "that was a great movie". 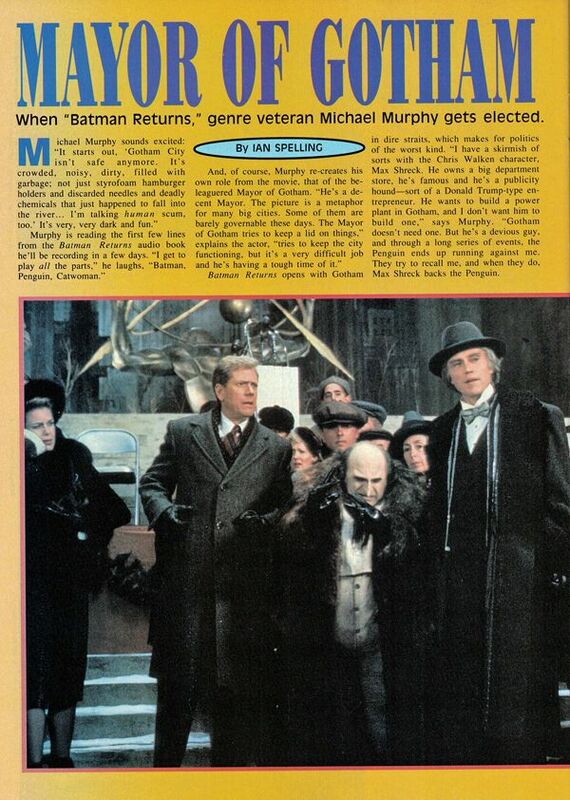 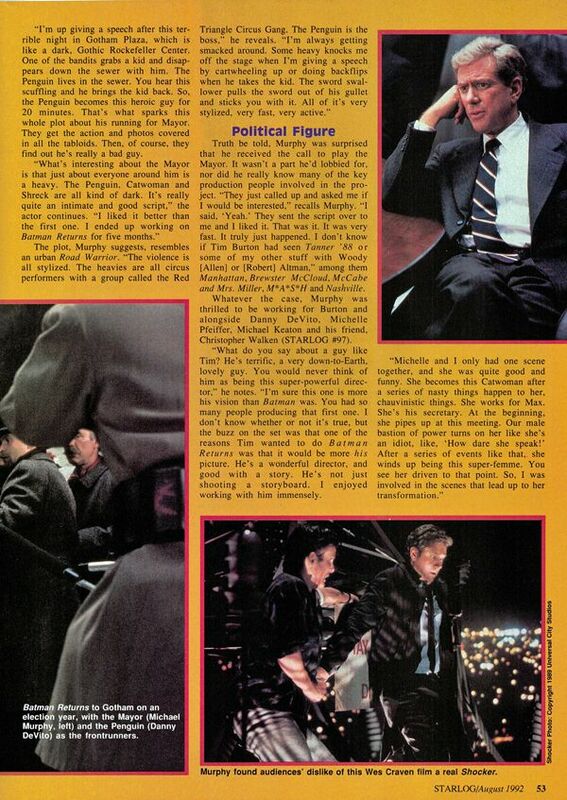 ...and then we get treated to words from the actor behind the beleaguered Mayor of Gotham- Michael Murphy!